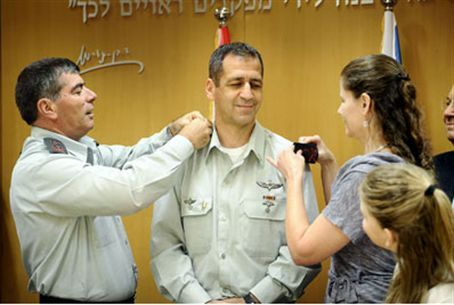 The IDF's new Head of Military Intelligence, Major-General Aviv Kochavi, formally entered his new position Monday and was promoted from the rank of brigadier-general. Kochavi was born in 1964. He served in various combat roles since his conscription in 1982, mostly as a commander in the Paratrooper Brigade. He commanded the Brigade during the 2003-2004 “Defensive Shield” campaign and was Commander of Gaza Division during the 'Disengagement' – the forcible eviction of thousands of Jews from their homes in the Katif Bloc (Gush Katif).